LG Pay to launch in the U.S. on the LG G7 during the first half of 2018? 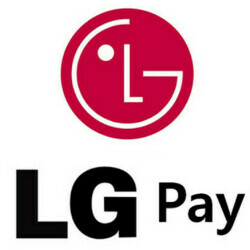 According to a report published today, LG Pay is finally going to expand out of South Korea. The mobile payment system launched in LG's backyard last June has not been available anywhere else. Today's report states that LG Pay will be available in the U.S. sometime during the first half of this year, around the same time that its next flagship model is released. That could take place in the middle of March. Similar to Samsung Pay, LG Pay will work with NFC and with a magnetic component. While Samsung uses Magnetic Secure Transmission technology (MST), LG uses Wireless Magnetic Communication (WMC) technology. NFC is used with the most technological up-to-date point of sale systems inside retail stores, and the magnetic part of the mobile payment systems can be used on older cash registers; it uses the same technology employed to swipe credit cards. This means, like Samsung Pay, LG Pay will be compatible with every retailer that can swipe a credit card. In the states, LG is considering calling the feature LG Wallet, and has already released an app by that name on the Google Play Store. Whatever LG decides to name it, the company says that it will first be found on the high-end LG G7 and LG V40 in the U.S., before becoming available on mid-range models. The U.S. will be only the second country with LG Pay. Compare that with Samsung Pay, which is already offered on 12 devices in 14 countries, and Android Pay, which can be used with any NFC-enabled Android phone in 17 countries. Does anyone use these smaller proprietary payment methods like Samsung Pay, Huawei Pay and many others? The two main players seem to be Apple Pay and what will soon be Google Pay after Android Pay and Google Wallet get combined into one. So, why would anyone use anything other than what seems like the standard? Especially, when many of the smaller 'Pay's' aren't widely accepted yet? If anyone can help me understand, I'd appreciate the insight. Yes. I use Samsung Pay and not Google Pay because of the ability to simulate a credit card swipe. While I tried Android Pay or Google Wallet... I forget which was first... when it came out, the fact that it was only usable with kiosks that had NFC led me to not bothering. While there are now more credit cards I can add to Google Pay, the fact that I have to pick and choose where I can use it makes it not worth bothering to me. Yes, I use Samsung Pay all the time. The reason is because you can use it almost everywhere, whereas Google Wallet is very limited. I meant to respond to comment #1, but I'm sure you understood that. Ahhh, I see. Thanks a lot! I gotcha. So, it really sounds like Apple Pay and Samsung Pay are the authorities in this space and everyone else is playing catch-up. Interesting. I think it will fail and not catch up still Samsung pay the best and most useful service to the users. Apple Pay, Google Pay, Microsoft Pay, Samsung Pay, Huawei Pay and now LG Pay, kept the pay's coming. For a phone that isn’t going to be called the G7 it sure is mention as the G7 quite a bit. My next phone is going to be Samsung, just for the Samsung pay feature. A few months back, I went to the store to get some items, and it wasn't until I was walking to the register that I realized I forgot my wallet. That lead me to research phone wallet options, and I liked Samsung's implementation, because it doesn't require the store to have a special credit card machine. Now it won't work at those gas station type card readers where you insert and remove the card, but should work at most other types of locations.